The Title 'Human Rights and the World Today written/authored/edited by Editor:- Arundhati Bhattacharyya', published in the year 2018. The ISBN 9789353240011 is assigned to the Hardcover version of this title. This book has total of pp. 204 (Pages). The publisher of this title is Kalpaz Publications. This Book is in English. The subject of this book is Human Rights. 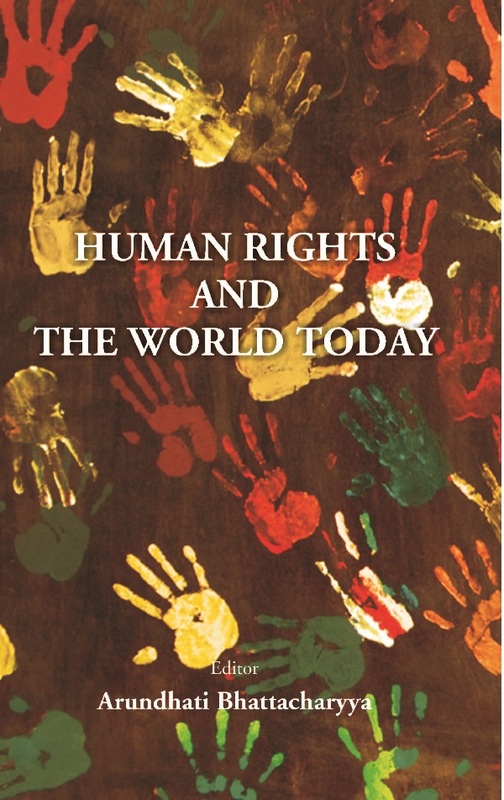 Human Rights and the World Today is an edited book with papers dealing with different issues of human rights which have assumed significance in the contemporary world. The whole world is in a state of flux. The civil wars in different parts of the globe have caused death and sufferings for many. Millions are yet to access the basic human rights, as on today. Even in democracies, rights of human beings, including women, children, minorities etc are affected adversely. The book has tried to touch upon evolution of human rights, the universality-difference debate, a right based perspective regarding gender and entrepreneurship in India, human rights violations in Nigeria-Biafra war, trafficking of women, growth of children's rights movement in India, human rights in West Bengal and finally, depiction and analysis of human rights in Indian films. This book is expected to serve research scholars, academicians and people who are interested in human rights issues. This book will be useful for students in Political Science, Economics, Geography, Sociology, Psychology etc. This will serve as a valuable handbook for learners and faculties of M Phil and Ph D courses. Dr Arundhati Bhattacharyya is an Assistant Professor in Department of Political Science in Diamond Harbour Women's University, West Bengal.She has graduated from Presidency College, Kolkata with Political Science (Honours) and her Masters is on Politics with specialization in International Relations from Jawaharlal Nehru University. Her doctoral degree is from University of Calcutta. She has completed UGC-Minor Research Project and ICSSR-Major Research Project. She has been a resource person of MHRD. She is an active speaker in conferences, nationally and internationally. She has already published 4 books Sexual Harassment In the Indian Bureaucracy: Violation of Human Rights, Political Participation of Women in West Bengal: A Study, Indian Women at the Crossroads and India in the Global Order: Challenges and Opportunities. She has contributed papers in journals and books, including, Sage Encyclopedia, Springer, Palgrave etc. Her areas of interest are Gender, Human Rights and International Relations. She has been invited by the Committee on the Elimination of All Forms of Discrimination against Women (CEDAW), Geneva, United Nations to speak on Indian Rural Women.